Upon arriving to Split in January of 2018 my wife Fernanda and I began to see the incredible need that existed here in Croatia. The Apostle Paul travelled through this land bringing the Good News of Jesus some 2,000 years ago as recorded in Romans 15 when he says “he had fully preached the Gospel from Jerusalem to Illyricum”. Today, Illyricum is known as modern day Croatia. However, after hundreds of years of war, invasions and nearly 50 years of communist rule, Croatia’s spiritual climate crumbled. We remember a specific comment made to us early on by a local believer when he was trying to figure out why we came to his city to share Jesus. It began with something like, “So, why Split? You know this is the black hole, don’t you?” We were a bit taken back by his comment, wondering what tragedy had taken place here to refer to your city and region as the black hole. You see, the evangelical church here is only 28 years old since communist times ended and there are only about 200-300 believers out of 180,000 people. Frustration, disappointment, rivalries, denominational divides, pastoral exhaustion, lack of leadership training and a host of other issues have taken hope out of many believers here. Many have resolved to meeting in their homes privately and not even attending a local church. The fractures that divided the early church are no different than today, especially here in Croatia. However, is it really the Black hole? When we first arrived, we had no idea what to do because there was so little ministry taking place that it was and is somewhat overwhelming. For several months we prayed and watched to see what the Lord would lay upon our hearts. It was then that our eyes were opened to the thousands of University students that are walking the streets here. In fact, there are nearly 40,000 students studying in Split and almost no active outreach towards them. So, we began to share our hearts with local leadership that we wanted to develop a young adult’s ministry that is open to all churches and young adults, especially University students. This vision of ours was and still is facing many smirking smiles as we share our hearts about what Jesus can do in this city if we walk in unity. It is no secret that the local church here is fragile, some churches won’t even work with one another and there are only 6, most of which have less than 30 people. Despite this fragility, one thing that we noticed was that the fractures between the churches for the most part did not exist among the young people. They simply wanted to be together and not be put under the strain of the church issues that have surrounded this region. 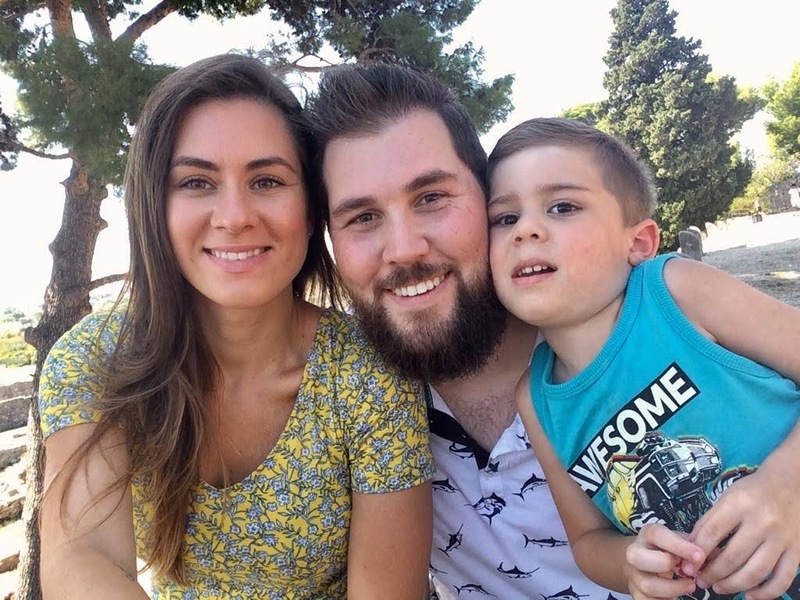 To give you an idea, one student told us that she was looking for a spouse, but since moving to Split she had never met another Christian young man who truly followed Jesus. Another example is the young man who shared with us recently that he had lost focus on God over the summer because where he lives no one else follows Jesus. In the midst of these kinds of stories we saw an opportunity to find common ground in this city and begin building a bridge of hope and unity through this younger generation. After many months of prayer and patience and ultimately by God’s grace we started our first gathering, “Grupa Mladih Split” in the beginning of September 2018. Since beginning we have been joined by students from various denominations, churches and those who are searching for truth. We have in-depth and practical Bible teaching, fellowship and prayer. We hope that as students grow in relationship with one another they will be encouraged to grow together in Christ. These students are sometimes very lonely in their walk and we want to create a community that encourages them. We have been very blessed to see this taking root in the community and some leaders beginning to engage with us and our vision here. We see the potential for this seaside port city to be a beacon of light to the Balkans but it will only be possible through the power and effectiveness of the Holy Spirit. We choose not to see the “Black hole”, but rather the light of Jesus shining brightly into it! * If you would like to know more about the Former family and ministry, Click Here.